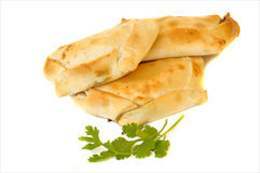 An Empanada is a type of pastry baked or fried in Hispanic cultures. Yeast is predominant microorganisms of dough for “empanadas, which are sold refrigerated with the addition of Antimix™ CC, packed in the sealed vacuum up to 8 weeks of storage. An addition of 2g/kg Antimix™ CC is efficient against Yeast and Lactic acid bacteria (LAB) in Empanadas.